Voltron: Year One, the second series in Dynamite Entertainment's Voltron comic portfolio, debuts today. Writer Brandon Thomas--who authors Dynamite's Voltron series--teams up with artist Craig Cermak to chronicle the events of Space Explorer Squadron #686, before Arus and before Voltron. The prequel series follows the exploits of four young men, led by Commander Sven, tasked with keeping the Earth safe and the skies clear in a universe growing more and more dangerous every day. 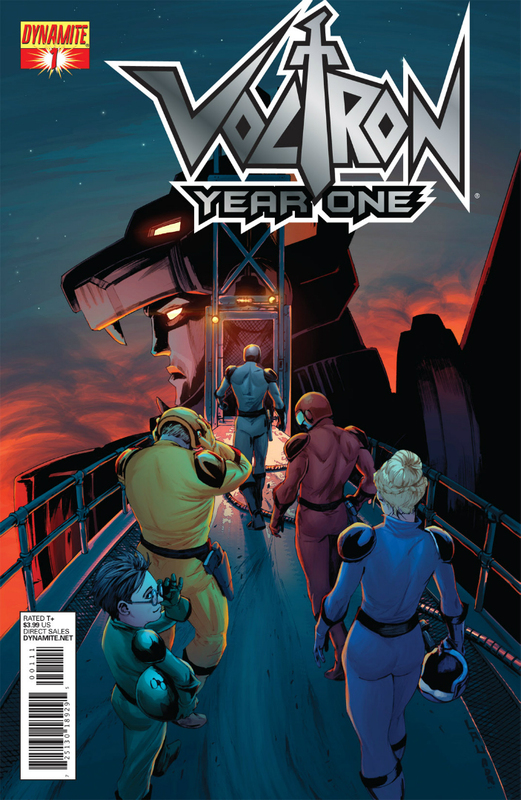 Voltron: Year One is available, now, at your local comic shop and same-day-as-print digital download.